Some days back I had talked about SIP and its characteristics using some examples , you can read it here . Today we will take that forward and see other important things related to Systematic Investment Plan. So , We have that same last example where 1,00,000 was invested over 2 years using Systematic Investment Plan and without SIP in UNITECH. Can we measure how good our investment is at any point of time . For that I developed a simple indicator called IV ratio which is very simple , Its just the ratio of Your total investment divided by its current Value at any given point . I have plotted a graph of IV ratio in two cases of SIP and NON-SIP . You can clearly see in the graph that , IV ratio for Systematic Investment Plan was always more than non-SIP mode. At first , IV ration was declining for both mode, which is fine, because of falling markets, but still For Systematic Investment Plan it was high, which means, that you get better returns. Then in last part, when markets were volatile, IV ratio for non-SIP was stable, but for SIP it went up, which means that SIP was giving better returns at this point. IV ratio is a simple tool to measure the performance of your investment. You can also use it to compare two different Investments mode over a period of time. Now, let us see some other things in regard to Systematic Investment Plan. 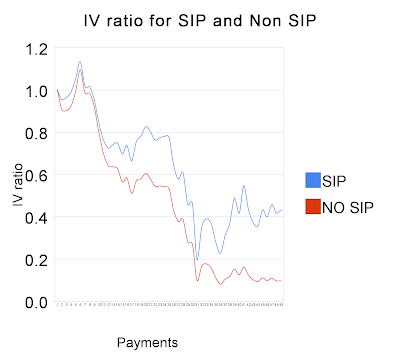 I have plotted the graph for IV ratio of SIP, and the investment value itself scaled down to 1. Blue line is the actual growth of investment and RED line is the IV ratio. 1. In the start (till 17-18) Investment was going up, but IV ratio was falling, which indicates Growth in value mainly because of your Monthly inflow in SIP, that means the markets are falling and eroding your investment, but the decrease in value is less than your monthly addition which you make. 2. From 18 payment onwards, you investment and IV ratio both are falling, which means that markets are falling at very high rate and your monthly contributions are smaller than the decrease in your portfolio. 3. from 31st payment onwards, you can see that IV ratio and your investment were going up, which means volatile and sideways market or small upside correction on up side. At last, you can see that both the value converge to same value of .42, which is your IV ratio and your actual investment value, Because at this point total investment is 1,00,000. IV ratio is the measure of how well your investment is doing in a given market, If its higher than yours friend, you can feel better because your have lost less for your investments. SIP results in higher IV ratio in markets which are not going up too fast. Which means apart from fast moving markets on upside it makes sense to invest through SIP only. It protects you from volatility, develops from discipline, and your are more satisfied mentally. I am investing in SIP since 1 & 1/2 yr and my portfolio are. HDFC TOP 200 (G)	Rs 3000 PM. Please advise whether I should add anything more or any reorientation is needed. This seems good to me . 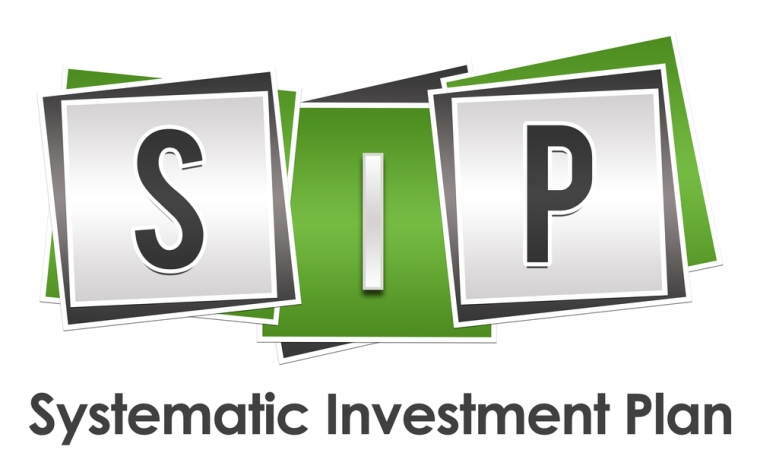 – Is it actually a SIP mode of investment? – Is this product good to go for 18 years of period with 5k investment every month (Equity Oriented I plan to go for)? As it has free term insurance I doubt whether my money will again consumed for term insurance (I already have term Insurance). If you choose to take HDFC Young Star, you can choose the monthly premium mode, however note that its a ULIP and not a mutual fund. You should be clear about the charges in those ULIP and see if you are ok with it . We generally suggest mutual funds only for long term wealth creation. Thanks Manish. But the HDFC financial planner advised that in mutual fund, there are allocation charges on the investment I make. But in ULIP there are only allocation charge on premium and no allocation charge after 6th year (fund management charges). Can you please help me out – whats the actually benefit in going for mutual fund rather than ULIP? from what i read in all the above materials, my understanding is this.please tell me if i am right/wrong. I f i invest in mf through sip monthly and sell everything[redeem is the word ,right?] after 3 years,then the money i invested at start will do business for 36 months,money invested at 24 months do business for 12 months and money invested at 35 months is exposed to market only for 1 month and so on..right? … which means total money at end of 3 years if lumpsum deposit at is made initially will be definitely much higher at end of 3 years if markets rise…. and the return for money deposited through sip will be comparitively lower at end of 3 years …right? Thank you veru much. I will try to control my self. But I paused the SIP and I myself purchased through Additional Investment instead of SIP. Because, I do not know what will be market on 7th of every month, and so I observe the market and purchase when the market is down. Is it right way? Or I have to continue the SIP on same date irrespective of the market. Please advice. 1. While starting SIP with any scheme do we have to specify the horizon (i.e. No. of years) of investment? 2. If I am not wrong different MF schemes comes with different lock in period. I don’t hvae to pay any tax on earned amount. For example, If I have invested Rs.36,000 (Rs. 1000 per month) till December-2010. How much tax I would have to pay if I redeem my investment at any time mentioned above? Can you suggest me good MF fund for long term (with 80C). I read your article on P/E ratio and how to get benefited by it. ‘Frankline dynamic PE ratio fund of fund’ follows the same philosophy as you have mentioned but its return is not better than diversified mutual fund. In fact, even balance fund like ‘HDFC Prudence fund’ has not only performed better than this but has protected downside also better than this. If a SIP in a good diversified fund or in a balance fund like ‘HDFC Prudence fund’ can give better performance, then why to take extra pain and devote extra time in monitoring Nifty PE and acting according to it. On paper, the philosophy mentioned by you looks good but it has not given better return even after taking extra time and effort. Pl. explain this. PS : Please ask questions at relevent articles comments section , This was mainly a PE question and should have been asked into that thread. Not this one . thanks 4 this goooooooood suggestion. gooooooooooooooooood suggestion for concious investors. it has helped me for SIPinvestment& cleared abt sip. Suggest me some high return high risk fun which i can enter thro SIP for 2-3 years. Well, my next question doesnt fit here, but is it better to posess gold coins/biscuits from market or better to enter Gold ETF(where i wont have it physically)? 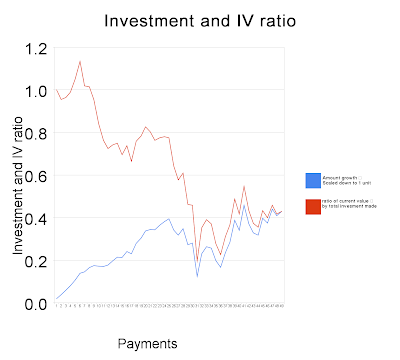 IV ratio does not consider the investment period. So it cannot be used to compare the two investments. The only right way is CAGR. Period. Why ? While comparing two things , it definately compares them along with time frame. At any point IV ratio of one investment is compared to IV ratio of another taking into consideration the same time frame . Can you suggest me good MF fund for short term (1 to 2 years) (without 80c) , I feel dividend option would be suitable. but can you suggest me some MF please. Not sure what is your risk appetite . For short term I cant suggest Risk funds . What is your return target ? if its 9-10% , better look for debt oriented funds . If you wish more than 20% in short term and can take risk , go for equity funds . see the list on one of the posts . Thanks for these lovely articles on SIPs. I am very new to MFs and am planning to start by conservatively investing in either DSPBR Top 100 (G) or HDFC Top 200 (G) via SIP of 1000 / mth. One query that I have about SIPs is that, say, I commit to pay 1000 per month initially for a period of 7 years. 2. Can I increase or decrease (subject to minimum SIP installment) the installments at any stage within the period. Thanks again for keeping us enlightened on the fundas of investing. Your Fund choices are good . Make sure you also understand that these equity funds and they are bound to go down if markets crash . 1. SIP is for minimum of 6 months (excluding first payment by cheque) . After that you can stop the payments . No issues . So you can take for 2 yrs or 10 yrs , but stop anytime after 6 payments . 2. No you can not increase or decrease the amount ,There are certain MF who allow this , but in general answer is NO !! . I am a newbie in MF. Regarding the first question “What happens then of my existing investment. Am I compelled to withdraw or will I continue with the existing share I have in the MF”, please elaborate! I am reading your articles, it is very informative. Good work! I just glanced through the CSIP , it looks ok .
Also insurance is capped at 20 lacs in CSIP . What is your insurance requirement ? I would prefer Term + SIP in mutual funds . nothing beats it . which one is better eiteher term insurance or CSIP ? but in Term assuarnce , money wont get back any. please tell me is it correct ? Ooops . There is some doubt on your side . ELSS is nothing but "tax saver mutual funds" . So there is nothing like SIP ELSS non tax saving schemes. Also 1 lac is limit for total 80C . So if you already have 25k in your EPF and 20k in your insurance premium , only 55k is remaining which you can claim no matter how much you invest in ELSS . Non-ELSS (non tax saving) funds do not have locking period , you can invest today and take money out after 10 days ..
in non tax saving scheme locking is not there? I have made the correction . Btw , you made a typo with your name at the last in the comment above , that was funny . I guess u had a typo in the article..It should be like this..
and the way you explains the article is very good. It would be better if you add a good performing Mutual fund and explain in regards of MF as well..
thats funny…..plz guys concentrate on the important things which Manish is telling us rather than focusing on typo errors………. I am reading your blogs since few months and I learnt many things from your blog, thanks for that and whenver I see your any new blog in my Orkut A/c I must read it. And as you suggesting in Mutual Fund most of the times for long term, but I want to know that when we all know that market is very low now and we can get many good stock in cheap rate, then why you are not suggesting for equity direct. But yes if you think that market can fall more further then MF is good option. But though I lost my half of my investment in 2008 but still I like direct market still. So, plz suggest the a price range of good stocks or sectors price at which the investor can invest who like directment and the investment must be periodically(i.e. monthly). And I have some thing I want to ask you but on next post….